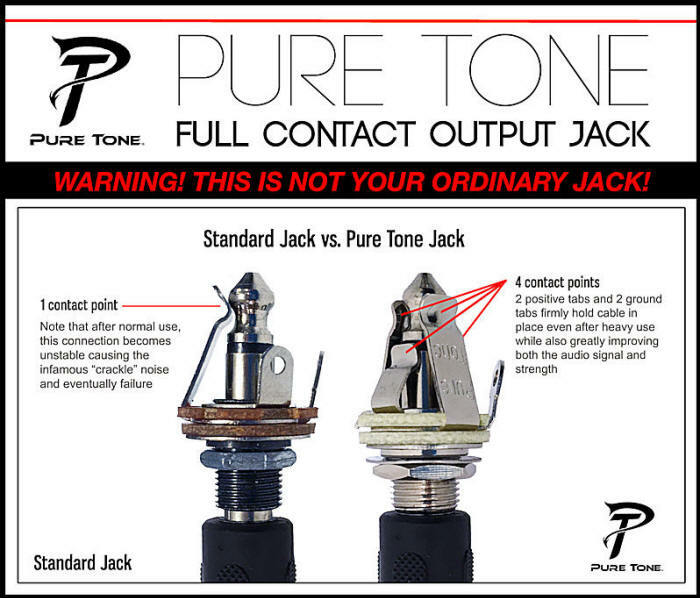 The standard guitar jack is now obsolete! 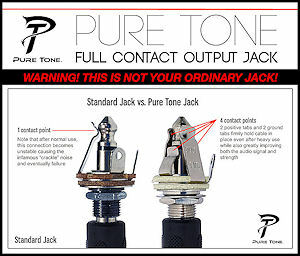 The Pure Tone Jack contains "Dual Tension Grounds & Dual Positive Tips". That is 4 points of contact between your cable and jack, instead of the 1 on standard jacks, giving you optimal signal and lowest possible noise. 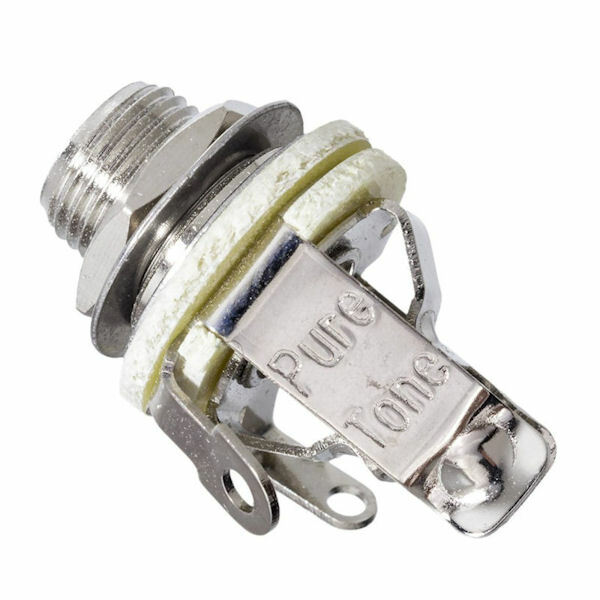 100% greater surface area at all contact points creates a more stable connection and as a result high & low frequencies are greatly improved. More metal mass carries more signal and a much more balanced sound. Eliminating frequency spikes means No More Noise Crackle. 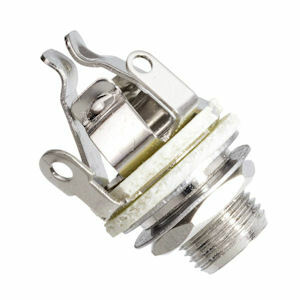 It also allows for increased current handling at 500 volts for high current applications. Tensioned design Locks Cable Securely. 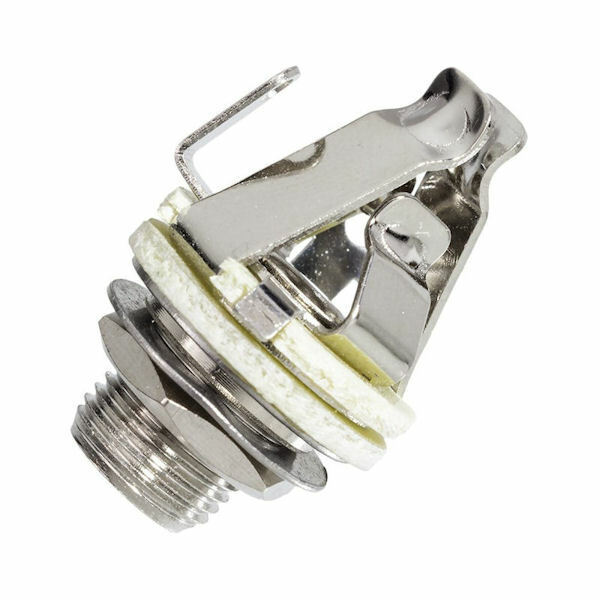 High quality Jack comes complete with Washer & Nut.